Save an additional Customer Appreciation Sale - $100 off this item! 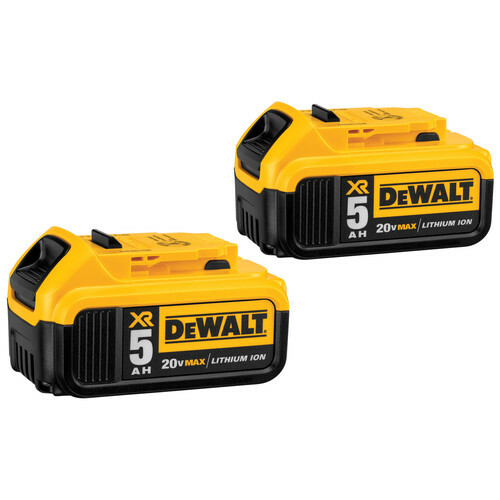 The DCK594P2 20V MAX XR Lithium-Ion 5 Tool Combo Kit features our DCD996 Premium Hammerdrill/Driver with 3-speed transmission and our DEWALT-built high power, high efficiency brushless motor delivering up to 75% more runtime vs. 18v NiCad brushed motors. The DCF887 20V MAX XR Brushless 1/4 in. 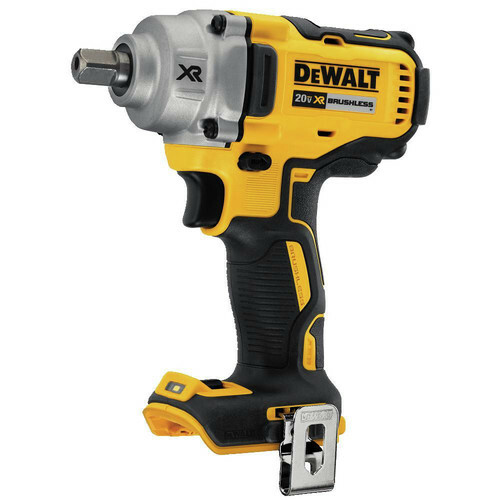 3-Speed Impact Driver is compact for fitting in tight spaces. Three LED lights make it ideal for working in the dark. The DCS570 20V MAX XR Circular Saw, features a brushless motor which provides 5200 RPM maintaining speed under load. The DCS367 20V MAX XR Compact Reciprocating Saw features a compact and lightweight design to help make your jobs easier. The DCL040 is a bright flashlight to illuminate your work area with LED output of 110 lumens.